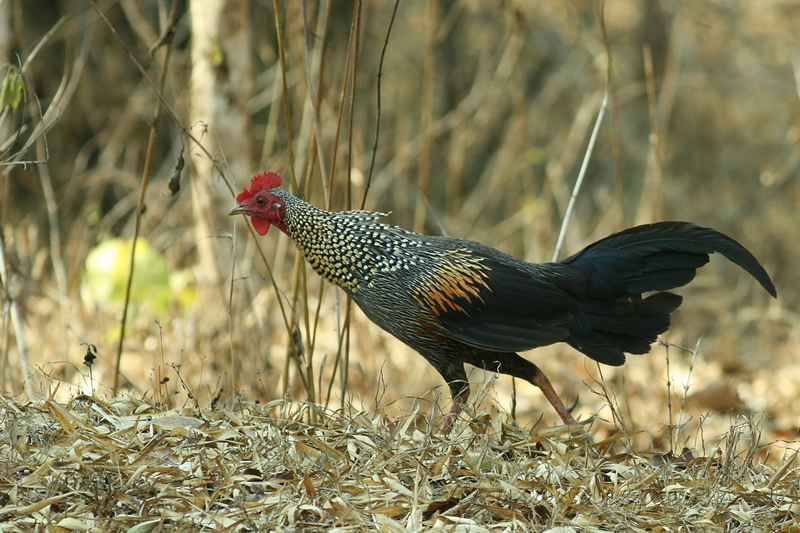 Spotted this Wild Rooster on the road side during one of the Bangalore to Kozhikode drives. Usually, these birds are girls are quite shy and disappears before I manage to get a shot, but this time the bird looked a bit curious. The light was low, so I had to bump up to ISO-400 and use 1/250s shutter, but still managed to get one descent shot!